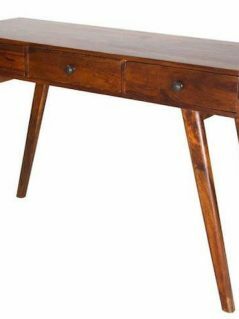 This gorgeous desk is made of solid tropical sheesham wood (Indian rosewood) from renewable resources. It offers two drawers, all providing great storage place for documents and all your bits and bobs. 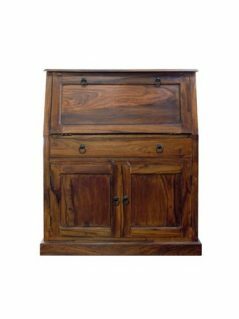 With its beautiful rich colors and grains, it will fit ideally any room in any contemporary or traditional home. It comes with a 2-year warranty on the workmanship. The warranty covers physical defects or changes that cause excessive visible movement and affect the structure stability of the furniture. The warranty does not cover normal wear and tear, normal settlement (this means minor shrinkage, swelling, small cracks and minor movement), or damages caused by mishandling, mis-use, accidents. Failure to treat your wooden furniture as advised could result in drying and splitting, and the invalidation of your warranty. 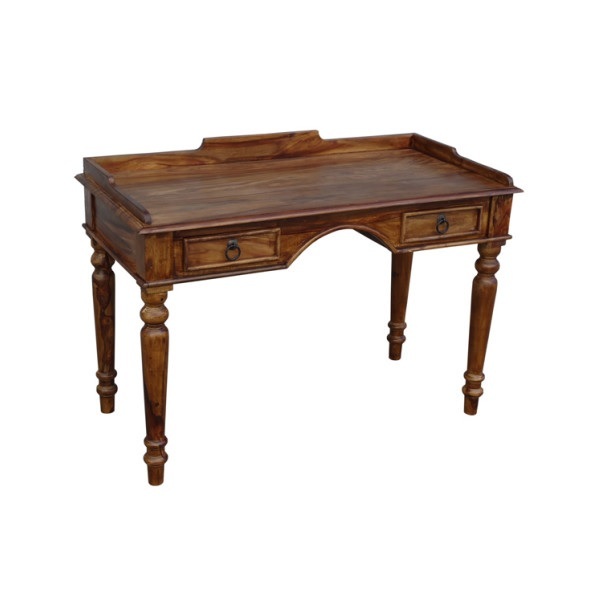 It is fully assembled with a handwaxed finish and easy to maintain. Simply use beeswax to polish it once every half a year. Free in-store collection in Westbourne, Bournemouth; delivery to local area within 50 mile radius is charged at £1 per mile starting from £5; delivery to most of the other places in mainland UK at the price of £49.